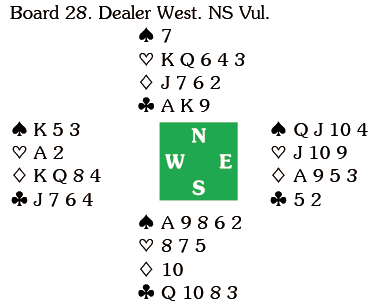 North led the K and declarer won with the ace and cashed the K. When the ten fell his best option would have been to draw trumps and play spades when he should emerge with eight tricks and a fine score (7/43). Seeing no immediate danger he played a heart at trick three and North took the queen and switched to the 7. 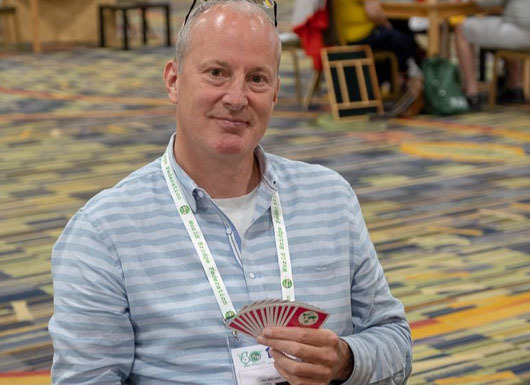 South won and returned the spade nine, North ruffing and cashing the K. When South encouraged with the three, North continued with the 9 and South won with the queen and gave his partner a second ruff for two down, +300 and a complete top, 50/0.